I was jogging today at a nearby nature preserve (and started hearing a bird singing that I didn’t recognize. A zee-zee-zee sound, ascending the scale and repeated 9 or 1o times. 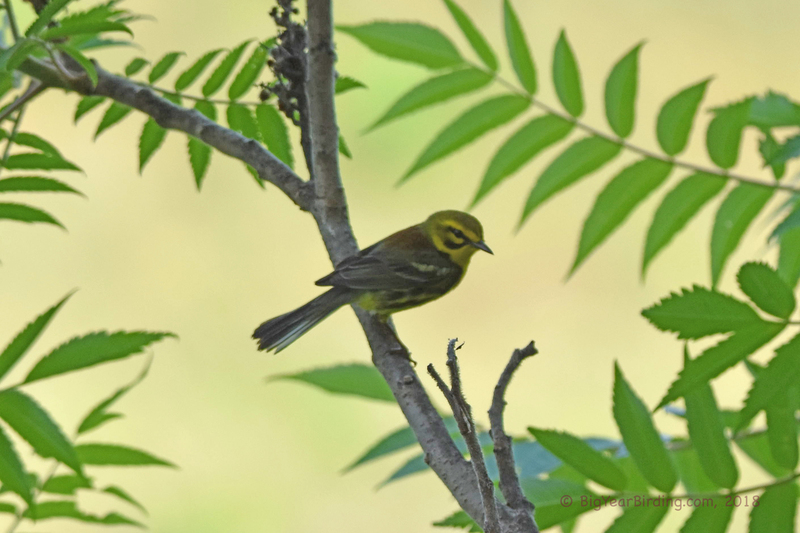 It was very incessant and since I was running with my phone I tried a new app called Song Sleuth which quickly told me it was a Prairie Warbler . . . a bird that I had never seen in a meadow (I find them usually in try grasslands). 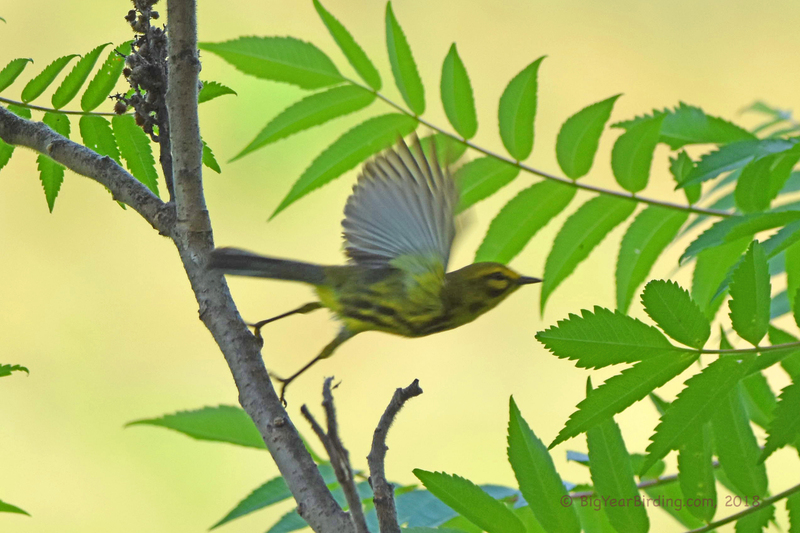 After a bit of searching I found the singing bird and it was in fact a Prairie Warbler.